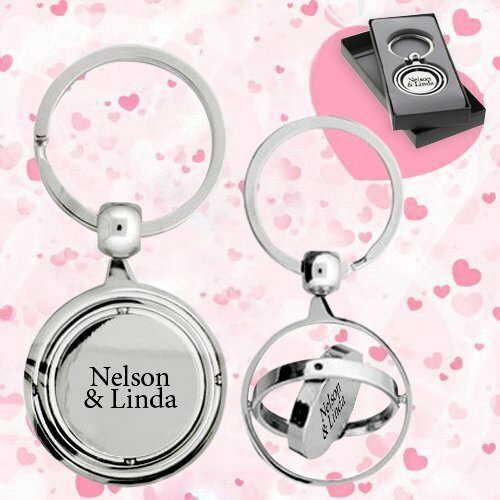 Spin your campaign 360 degree by gifting away these customized round triple spinner Rosarno metal keychains! This is basically a polished chrome round triple spinner key chain and it is offered with in a gift box. You can get one side of this keychain imprinted with your business information prior to gifting. It makes an elegant gifting choice during tradeshows, fundraisers, charity walks, corporate anniversaries and many more. It suits most low budget marketers because we offer attractive value discounts on bulk orders of these metal keychains. Request a quote to know wholesale discounts for this promotional round triple spinner Rosarno metal keychains. 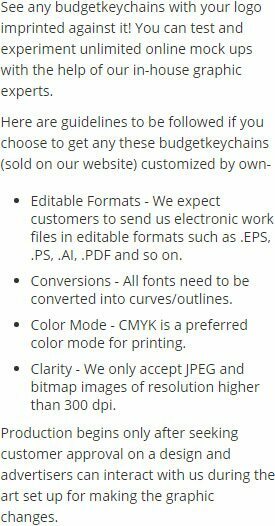 * We charge slightly extra for additional colors/locations for laser engraving and printing. Contact @ 855- 539-8247 for more details.